It’s the perfect time to explore Turkish MICE market at the leading meeting destination; Istanbul and find qualified hosted buyers to make beneficial B2B meetings within 3 days. Istanbul, with its 8500 years of history, is the capital of 3 empires, is among the top 10 tourism and congress destinations around the world, a dynamic modern metropolis with 14.8 million of population and hosted 34,9 million foreign visitors in 2016. While its 3 bridges connect the two continents together, this geographically unique destination becomes the heart of Europe and Asia. The last but not least: this city never sleeps and it is vivid and alive 24/7! TECH ZONE: Get Ready to be Surprised! AME'18 comes along with innovations like TECH ZONE, which will include event technology exhibitors and latest trends both in Turkey and in the world. Brands from USA, UK, Belgium have already taken their places. Speakers’ Corner will also be located close to the ZONE. There will be many sessions related to 2018's event technology trends and brand new technological developments such as virtual reality/augmented reality, wearable technology, meaningful use of data, event software and flexible display technologies. 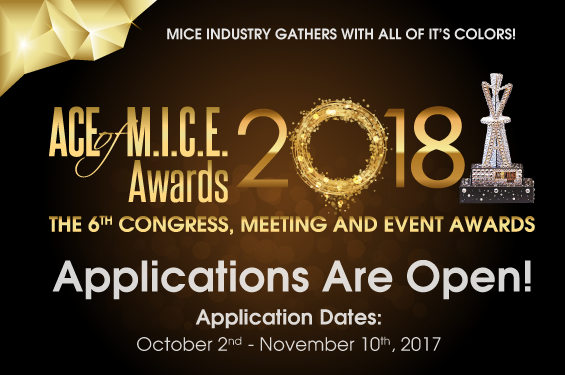 While the event and meeting industry are preparing for the year of 2018, you will have the opportunity to meet the professionals of the global MICE technology industry in the first quarter of the year. Exclusive Buyers are Ready for You! If you want to lock in your prime booth place, it’s adviced to register now as an exhibitor to meet with 750+ professional MICE industry hosted buyers from 40 countries on a perfectly functioning B2B online appointment system. Face-to-face interaction with high-level decision-makers and influencers of the industry will allow you to connect with new and existing customers under one roof. MICE Industry Professionals, Associations / Societies / Federations and Corporate Companies can be hosted buyers at AME. Participants must be in a decision making position who are responsible for the decisions regarding the destinations where the meetings will be organised. You can benefit from both at AME’18! Experience the “Business Network Night” on the first day of the exhibition to have a chance to build new business contacts and enjoy the branded “AMEzing Party” after dinner on a Bosphorus boat tour with the peerless Istanbul view. This programme will be complimentary. Tourism Media Group started its operations in 2007 with the goal of contributing to the development and growth of MICE sector and providing communication and unity within the sector by making surveys and analyzing the market. The company is integrating world MICE industry with Turkish market with its partners in 25 different countries and providing services as an umbrella organization of the sector. Tourism Media Group is the gathering and reference point of the sector and is divided into two with its publications and exhibition services. M.I.C.E. 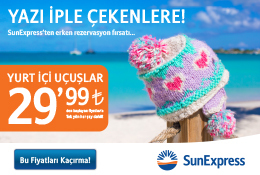 Magazine is being published regularly for the last 6 years and eventturkiye.com website is continuing its online operations. Within the publication, you can find; sector companies and their promotions, sectorial news, events, research, columns, world news and everything about the sector.